The first weekend of December and the first of many Christmas retail mobile billboard campaigns for Gorilla advertising vans and advertising bikes. 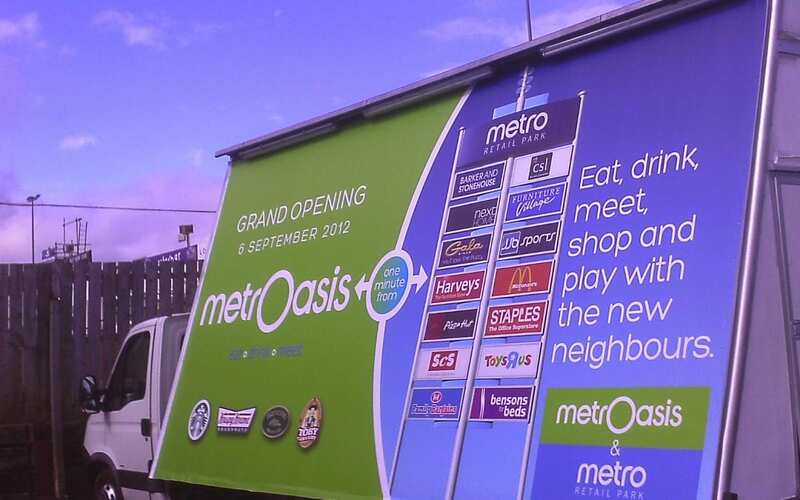 metrOasis the latest development at the world famous MetroCentre shopping complex in Tyneside strategically position Gorilla AdVans to direct traffic from the main arterial roads and AdBikes operating within the perimeter of the centre itself informing customers of the exciting new retail experiences. To see more images of campaign photos go to the Galleries section of this site.